CHRIMS is a not for profit, mutual benefits organization focused on providing technology solutions for the pari-mutuel gaming industry. We provide state of the art solutions in pari mutuel and race track accounting, simulcast settlements, CRM, player tracking - wagering and admissions, and management information applications. 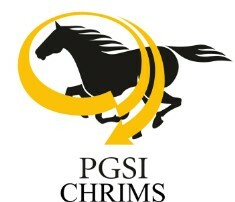 In 2013 CHRIMS, Inc. launched Pari Global Solutions, Inc. “PGSI”. This company was created to provide the same quality of services CHRIMS customers have grown accustomed globally. All non-California and governmental business was moved to PGSI. This allows us to partner, joint venture, and form alliances with other companies to better serve our customers. CHRIMS - PGSI mission: At CHRIMS, we are focused on providing our customers a 'total solutions'. We will either provide you the answer or service, or get you in touch with a resource that will. Our approach is to leverage our technical systems and team to streamline and help you maintain the most state of the art accounting and information management system possible. CHRIMS provides its services to many state regulatory commissions and boards. With years of experience in pari-mutuel accounting and distributions, we are able to help them fulfill their mission. We provide them with state of the art tools to track, analyze, and account for the pari-mutuel and gaming data they are overseeing. This intern provides a useful service to race tracks, ADW companies, horsemen organizations, and other stakeholders they serve. Allowing for electronic reporting and reconciliation of pari mutuel data and tax reporting, and budgeting.